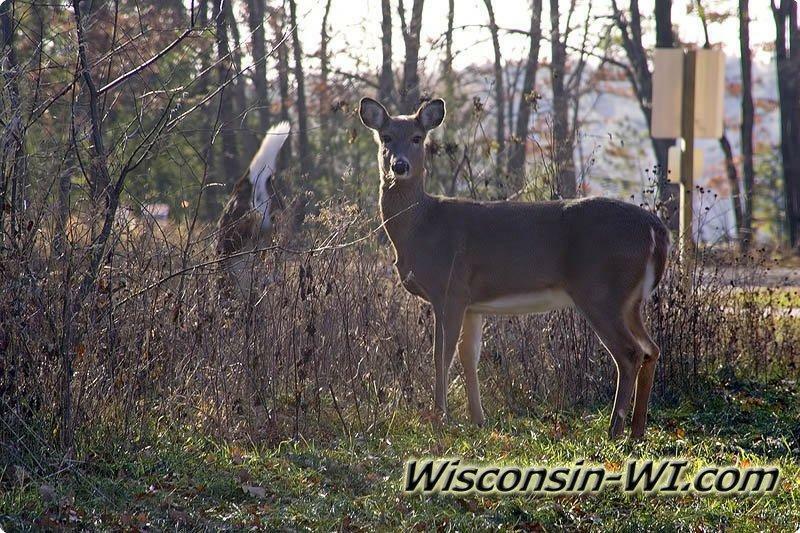 When they are running away from predators, Wisconsin whitetail deer have the ability to run at high speeds and jump very high fences. Their legs look like springs when they jump. White-tailed deer are very strong animals. Their bodies allow them to survive through different types and conditions of habitats. 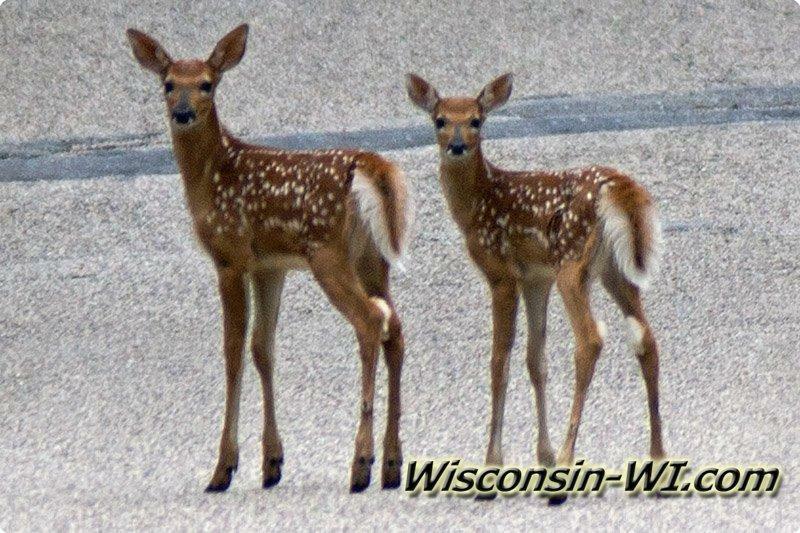 A lot of white-tailed deer have been known to get killed by oncoming traffic when crossing the roads. A very large portion of them also get killed during various hunting seasons. 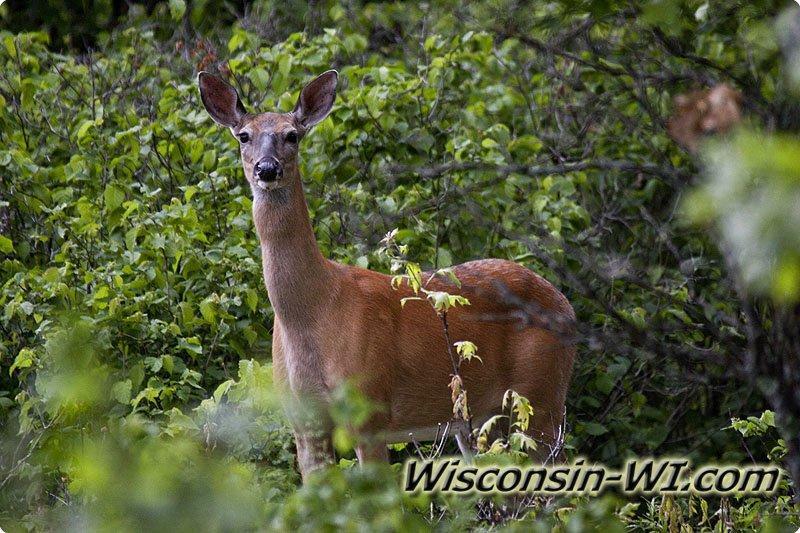 Another unfortunate downfall for the deer is that they sometimes acquire lice, mites, and roundworm. 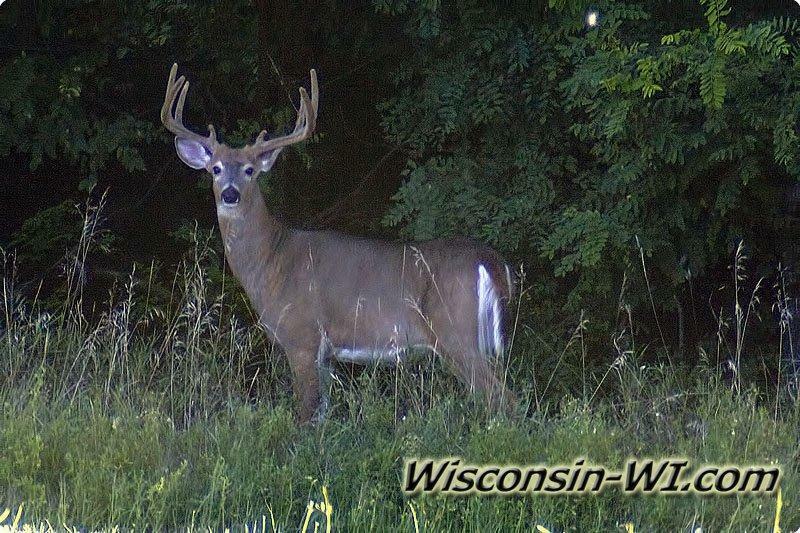 More Wisconsin Wildlife! 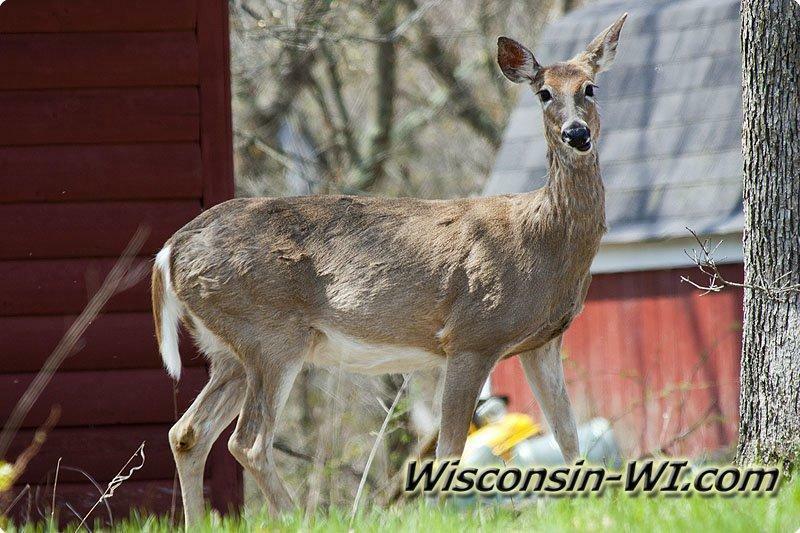 Some humans consider them as pests because white-tailed deer sometimes eat gardens and crops started by the humans. 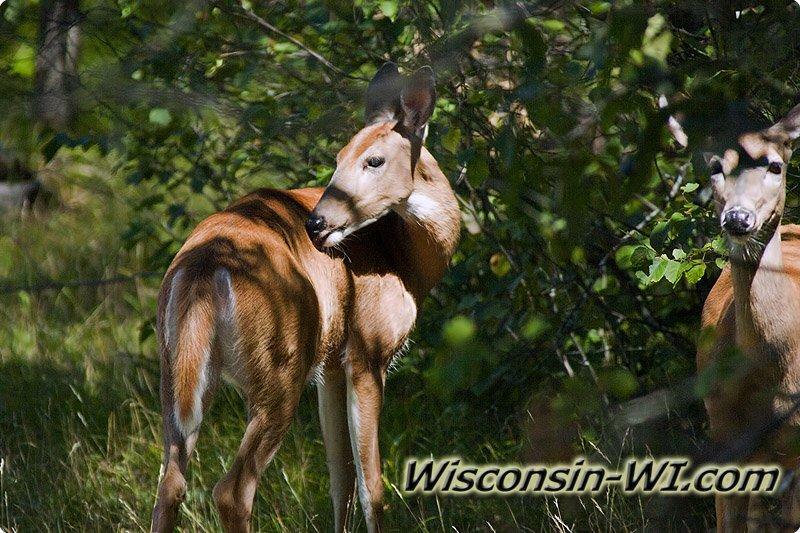 Wisconsin white-tailed deer have four main predators: humans, wolves, mountain lions, and dogs. They may have other predators, but these are the main ones that they have to worry about. 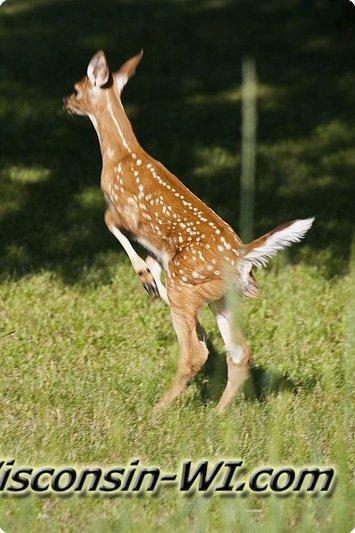 If they don't get killed, white-tailed deer have been known to live up to fifteen years in the wild. 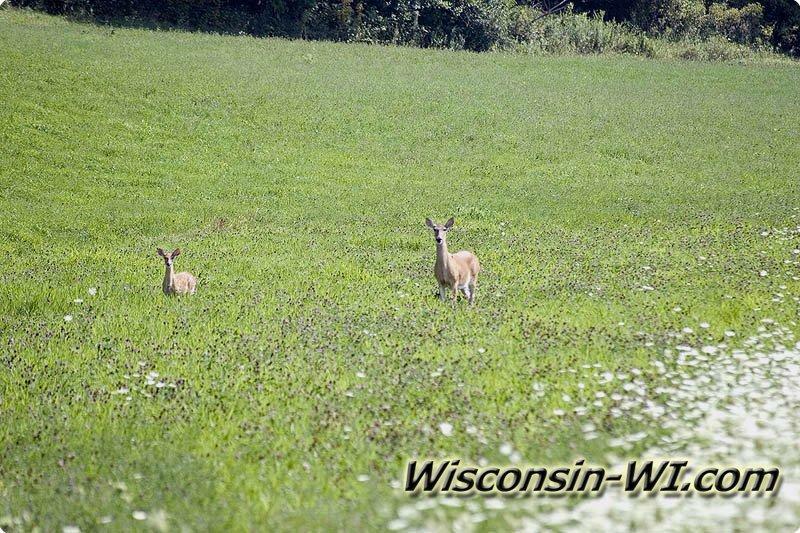 Did you know that white-tailed deer are very good swimmers? Also, in order to keep predators away from their fawns, does only visit their young three to four times a day. White-tailed deer are a very interesting animal. Keep your distance, but enjoy their presence. It is a delight! 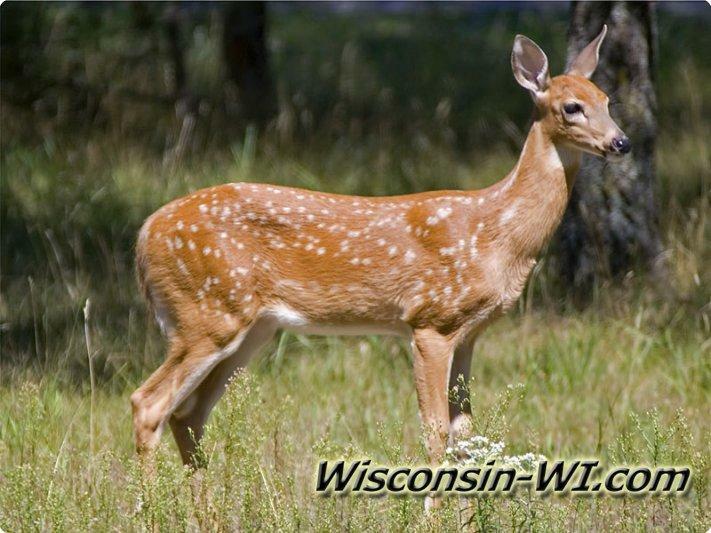 Reproduction: sexual maturity: 2 years old, mate October to December, pregnant for 6 ½ months, 1 fawn at first year of mating, 2 fawns after that. 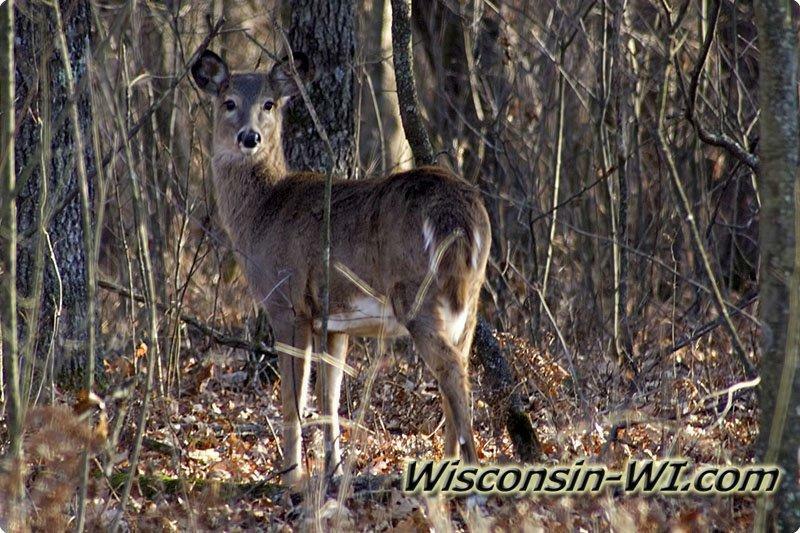 Extra Facts: very good swimmers, coats change colors between seasons, grow and shed antlers annually, to divert predators-does only visit fawns 3-4 times a day.